Check out my review of Assouline‘s beautiful new book, Pierre Cardin: 60 Years of Innovation, now on Coolhunting! 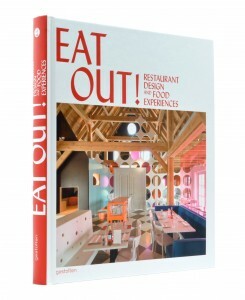 Check out my BehindTheBurner.com review of Gestalten‘s awesome new book, Eat Out! It surveys the most interesting, contemporary restaurant concepts and designs, and includes wild restaurant spots like a dinner in the sky (table suspended 50 meters in the air by a crane) and an installation that envelops guests in a vapor of Gin and tonic water. After about an hour, it’s estimated visitors imbibed approximately 1 gin and tonic—through their lungs and eyeballs! 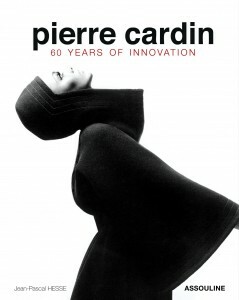 My latest review for The New York Times Style Magazine, T, is now up! “How They Got the Shot” considers Hasted Hunt Kraeutler‘s new exhibit, “Great Photographs of the 20th Century: Staged & Startled,” a look behind-the-scenes-at 22 famous photos from the last century. Hope you enjoy! The Extended LaChapelle Interview: Now up! “Renaissance Man,” the extended version of my interview with photographer David LaChapelle – which appears in the March issue of Dazed&Confused – is now up at DazedDigital.com. Click here to read. Hope you enjoy!